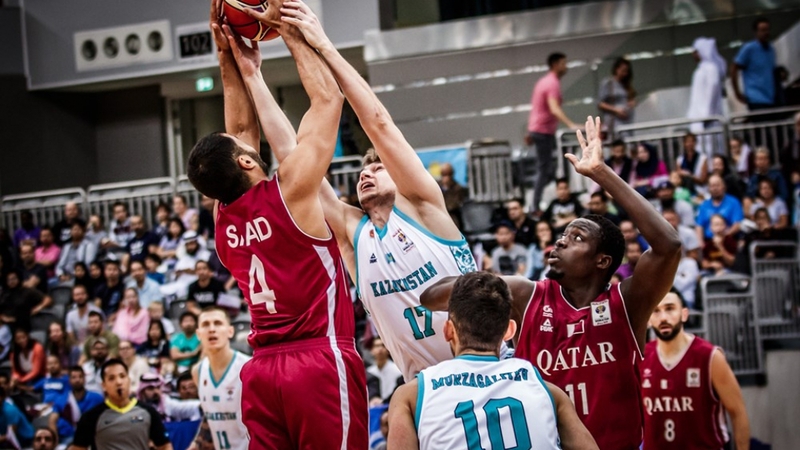 In the match of the Basketball World Cup 2019 qualifying round in Doha (Qatar), the National Team of Kazakhstan won in the opening match against the hosts. Throughout the game, the Kazakhs controlled the course of the game, although the first quarter ended in a draw, and the hosts won in the second, the next two ended with a flawless victory of the guests, (20:20, 26:23, 7:19, 17:20), as a result, Kazakhstan won the game with a score of 70:82. Anton Ponomarev, a forward of «Astana», became the most effective player, who recorded 23 points, and Rustam Murzagaliev, a guard of «Astana», brought to the team 20 points. - The game, of course, was hard, we did not control a beginning of the game, there were a lot of mistakes, we missed a lot of shots. In the second half, we concentrated and began to play better in defense, everything has been changing for better. This first victory on the road is a good sign, we will fight to the end, for playoff stage, for entering the World Cup. I would like to thank all who supported us, who watched, cheered for us, there were a lot of guys from Kazakhstan on the game in Qatar, thanks to all! Other rivals of Kazakhstan in Group D are Iraq and Iran. The next match will be held already on November 27 in Astana, when our team will receive the team from Iraq.